Add classical elegance to your home with the Ponden Home range. The Harmony Blackout Curtains in Heather are a must have for any bedroom due to their all season quality. Blackout curtains ensure your room is kept cool in the summer and warm in the winter whilst blocking out unwanted light with their Blackout capabilities. 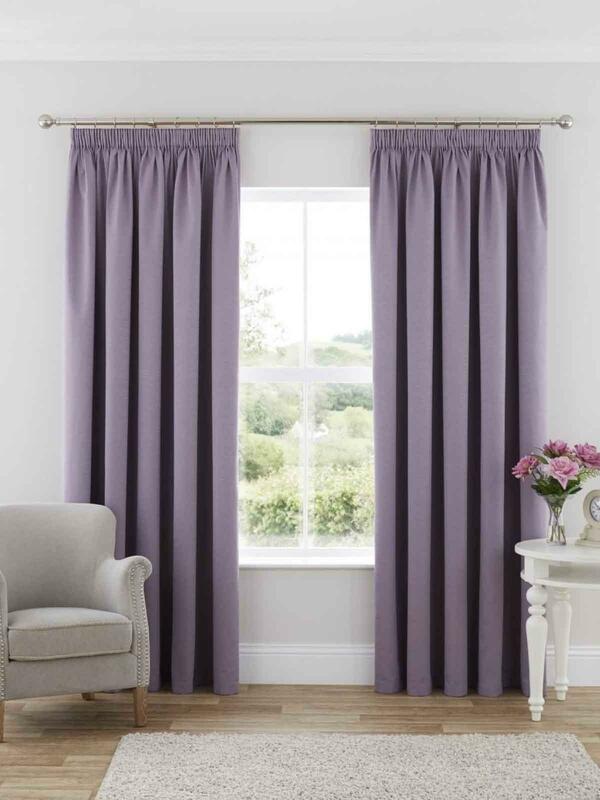 Blackout curtains are especially useful for childrens rooms, allowing you and your little ones to get some much needed rest and allowing for a healthy nights sleep. Now available in seven colours including this brand new addition in this seasons hottest colour, heather! Excellent. Blackout curtains and colour matched perfect to duvet set bought in store. Bought these curtains in the recent sale. The colour is just what I was looking for. Nice material and good at blocking out the light. Very pleased.